Toyota announced that it plans to realign North American manufacturing operations in order to better support its Toyota New Global Architecture. This realignment not only involves the company’s move to Plano, Texas, but also includes a new $1 billion facility in Northern Mexico. 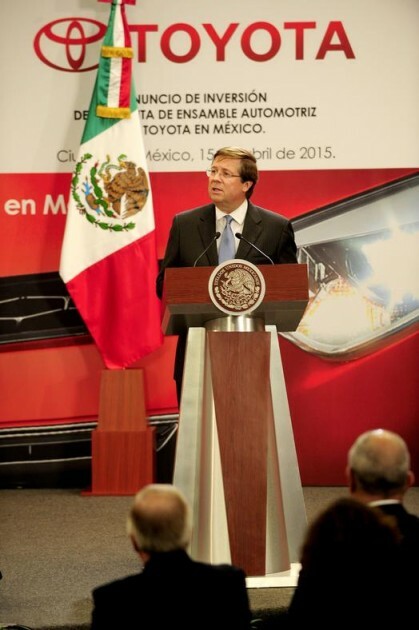 Toyota will spend $1 billion to build a new manufacturing facility in Guanajuato, Mexico that will be responsible for producing the Corolla. The plant will be the first new manufacturing plant built in North America since 2011 and is expected to employ around 2,000 and have an annual production output of 200,000 units when it opens in 2019. The first vehicle to be produced at the facility will be the 2020 Corolla. “We are thrilled to invest further in North America so we can better meet the needs of our customers for decades to come,” said Jim Lentz, chief executive officer of Toyota North America. “This strategic re-thinking of how and where we build our products will create new opportunities for our company, our business partners and our team members across the region.